Callaway Demonstration Day is just what you’ve been waiting for and it’s happening tomorrow, Saturday, February 25th here at Heritage Isles. 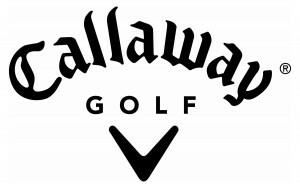 We’re excited to offer this fantastic opportunity to see and experience the remarkable new hardware offered by Callaway. Drop by anytime between 9:30 a.m. and 1:30 p.m.
Having the right equipment is an essential part of your golf game and can lead to immediate improvements in your score. Callaway leads the industry in innovative technology. Don’t miss this opportunity to see what their hardware can do for you. It’ll be a hands-on event so be ready for an immersive experience. While you’re here, book a round of golf and put that new equipment to work for you. The weather is fantastic, making this prime golf time for snowbirds and locals alike. 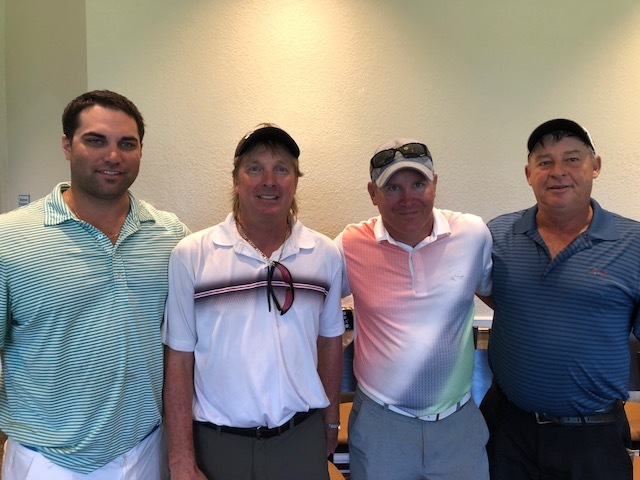 Come enjoy the fantastic new improvements that make Heritage Isles Golf Club the premier course in the Tampa Bay area. 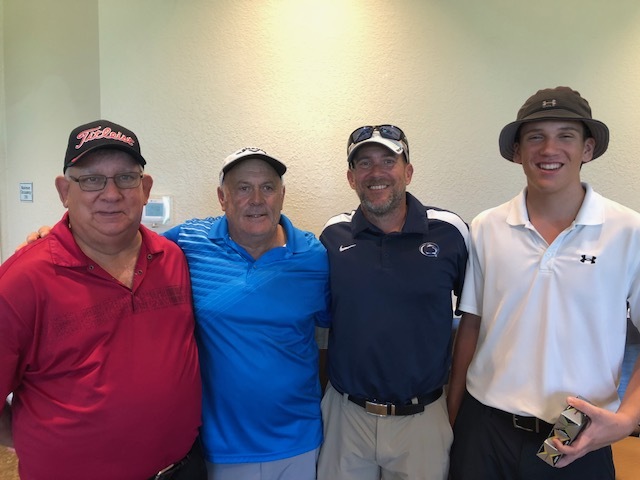 The course has been upgraded in all areas and offers a great golf outing amidst eye-opening natural beauty – regal palm trees, moss-draped oak, native wildlife and the green, green grass that tells us Spring is near. Back tees let you experience what the professionals face. Amateur-friendly front tees help you get your game off to a good start. The greens are carefully tended and offer reliable stimp speed of 10. 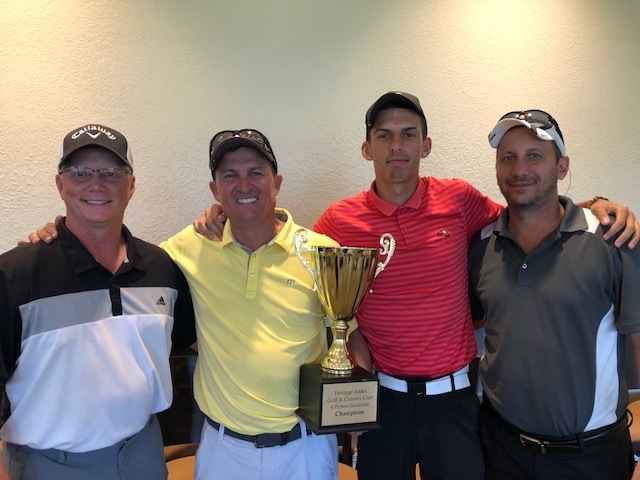 Our practice area, the best in New Tampa, lets you work on your game. The driving range and putting area have been stylishly refurbished. Spend some time here and you will shave strokes off your average. 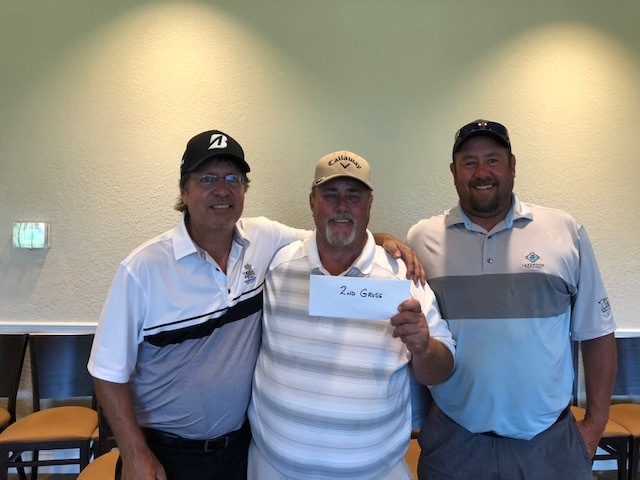 The course’s holes, picturesque surroundings, friendly staff, and the tasty meals and drinks at Hoosiers Grille are all the ingredients you need for a memorable occasion. Heritage Isles Golf Club is semi-private. We are open to the public and welcome all golfers. Book your next experience today by downloading our free mobile app. 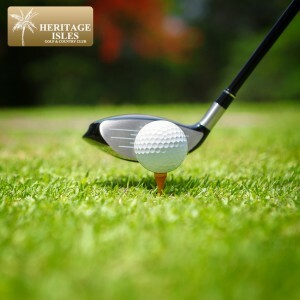 Just search Heritage Isles GCC. You can also give us a call for a tee time at (813) 907-7447. 3 Months of ideal golf weather in Tampa Bay, where Heritage Isles Golf Club is the perfect setting.